Taking proper care of your home may means you need a Chicago handyman services and bathroom remodeling contractor. Being a homeowner comes with great joy but also hefty responsibilities. The good news is that when you find a reputable team of pros to work with you always have someone else to rely on to take care of your to do list for you. At Gary’s Home and Bathroom Remodeling we have been taking care of a variety of important tasks for residential and commercial clients since launching in 2000. But owner Gary Zimmer’s experience in the industry predates even the beginning of starting the business. When you work with one of our expert pros you can rest assured that you will have the job done right, the first time around. 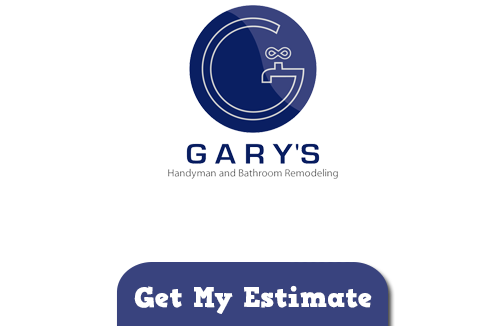 At Gary’s Home and Bathroom Remodeling we are honored to be considered the best for a remodeling contractor in Chicago. Anyone who is from here or who has relocated here to make this their home knows what makes this city so great and why we would be so proud to have clients here. But some people aren’t even aware some of the things that make this place so amazing. For one thing residents and visitors here has their choice of close to 5,000 restaurants, 200 art galleries and over 550 parks. And while almost everyone knows about the St. Patrick’s Day tradition of dying the river green few realize that this was the site of the very first skyscraper all the way back in 1885. Not to mention this is where the term “Jazz” was first coined. Like the list of services we offer, the list of reasons to love it here is long so we are thrilled to be able to work here. This is also an area that has a vast variety of types of homes. But at some point every single one of them will require a Chicago bathroom remodeling job. In order to get the best bang for your buck on this type of project you need to be able to rely upon the most professional in the business. At Gary’s Home and Bathroom Remodeling this is what we do and we look forward to helping you create the bathroom, and overall home, you have always wanted. For all of your kitchen and bathroom remodeling in Chicago needs you can count on us. In fact for just about anything you might need done around the home we can get the job done. Let us show you in person what makes us the top choice for Chicago home services and bathroom remodeling. If you are looking for a Chicago Home and Bathroom Remodeling Company then please call 847-800-4279 or complete our online request form.